Defense Minister of Albania Olta Xhaçka stated today that Albania takes the lead of A-5 in less than two months. Xhacka gave this message during a meeting with the US Defense Minister and Adriatic Charter. This is what Xhacka informed during a meeting with the Defense Ministers of Adriatic Charter (Albania, Croatia, Montenegro, Macedonia and Bosnia and Herzegovina, US), a meeting held in Budva (Montenegro). Minister Xhacka, in the capacity of host to the next meeting in Tirana, invited the homologues of the Adriatic Charter member countries to support Albania's initiative to open doors to other countries aspiring to be part of the North Atlantic Alliance. "It is the time that before we ask NATO to open its doors, we must show that we are ready to open the doors to each other, right here in our home. 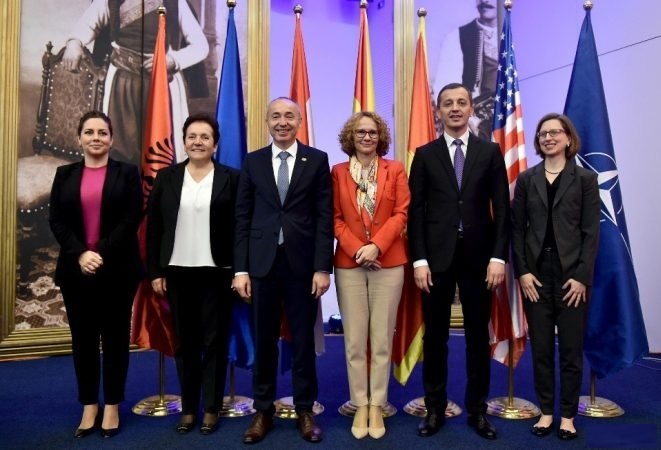 A-5 should become A-6 and next year, when Albania will head the A-5, all should welcome Kosovo to become part of this initiative, a precursor for the integration of the region in NATO, - stated Minister Xhacka during the meeting.